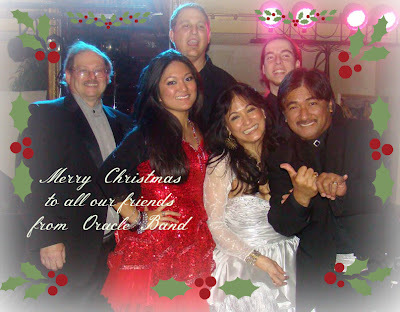 Oracle Band News and Information: The World Didn't End, But the Party Was a BLAST!!! The World Didn't End, But the Party Was a BLAST!!! OK...so the Mayans got it wrong! Friday, December 23rd, the day they've been predicting for years as the ultimate "End Of The World", came and went without a whimper. But hey...it was a FANTASTIC excuse to call all of the Oracle Band faithful together for one humongous Holiday Party at Whispers Restaurant in Glen Burnie Maryland. Possibly the biggest house we've ever seen at Whispers came out to enjoy the evening, and the packed dance floor was a distinct reflection of the party atmosphere. We got to see a BUNCH of friends that we haven't seen for quite some time, some former bandmates from other groups that stopped by to celebrate, classmates from High School (and one from Steve's JUNIOR High), and of course the faithful, the Oracle Family, who had a table reserved for the better part of two months for this party! Our dancing bartender was invited up on stage at one point to the delight of the crowd, the lights were nothing short of hypnotic, and we pulled out tunes from the 60s all the way through today. We were still going strong when we noticed with a shock it was already 1:00AM and that the evening had come to an end. We'd like to thank all the folks who were so kind enough to bring us out cards and gifts...it was very thoughtful and we appreciate it more than you can imagine. Oracle will be returning to Whispers next year on the last Friday of each month, starting on Friday, January 25th. 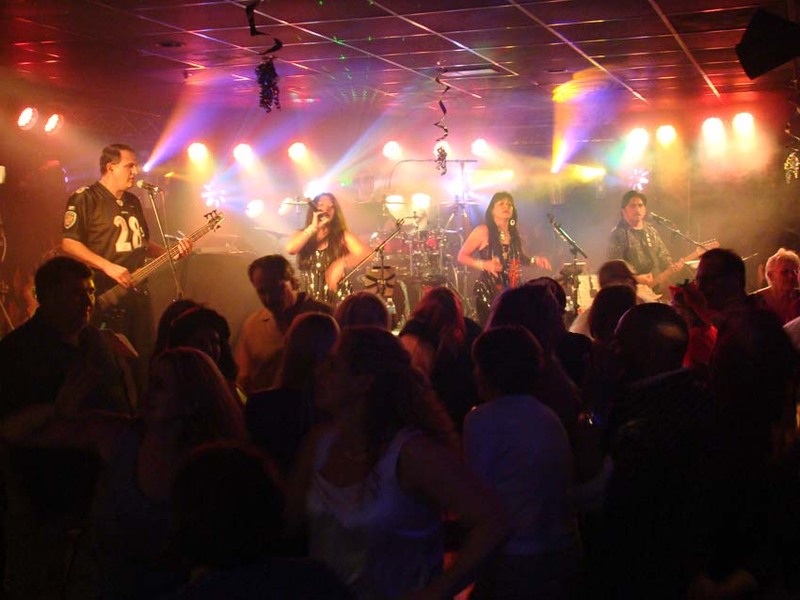 That make it really easy to remember for everyone, but of course all of our public performances are listed on our Calendar Page, so you can always check there as well. We hope you enjoy the photos from the evening, and if you'd like to comment on any of them feel free to head over to our FaceBook Page where you will find all of them waiting for you to tag yourselves and comment away.